It has been a rough year for Asia-Pacific airlines but next year looks a bit brighter. A global airline body said yesterday the carriers can expect falling profits this year after being hardest hit by the sluggish cargo market and operating in an environment where significant injection of capacity has kept yields down. In its latest forecast yesterday, the International Air Transport Association (Iata) said Asia-Pacific carriers are expected to post a collective profit of US$3.2 billion (S$4billion) this year. This will be the third straight year of declining earnings. The good news is that things should improve next year with a US$4.1 billion profit projection. A big challenge for Asian carriers, the largest players in global cargo markets with a market share of nearly 40 per cent, is poor demand and falling yields. Globally, airlines are expected to fare better. The latest estimate is for a collective profit of US$12.9 billion this year. The projection for next year is even better at US$19.7 billion. The numbers are an improvement from three months ago. 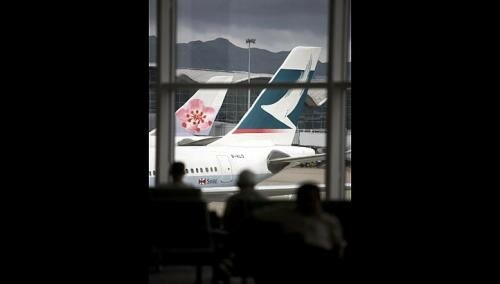 In September, Iata which speaks for more than 230 global carriers had an US$11.7 billion profit forecast for the year. Before that in June, the earnings estimate was US$12.7 billion. The recent upward revision reflects lower jet fuel prices over the forecast period, as well as improvements to the industry's structure and efficiency, said Iata director-general and chief executive officer Tony Tyler. "Overall, the industry's fortunes are moving in the right direction. Jet fuel prices remain high, but below their 2012 peak," he said. Passenger demand is expanding in the 5 to 6 per cent range, which is in line with the historical trend. Efficiencies gained through mergers and joint ventures are delivering value to both passengers and shareholders. And product innovations are growing ancillary revenues, he added. Still, challenges lie ahead, Mr Tyler said. "We must temper our optimism with an appropriate dose of caution," he said. Citing the cargo sector, he noted that volumes have not grown since 2010 and cargo revenues are back at 2007 levels. Mr Tyler said: "It's a tough environment in which to run an airline. Competition is intense and yields are deteriorating."